Comment: we do like only a treated wooden framework installed so we can add later bamboo panels to it. It is mostly surrounding a patio with a hot tub on it. The measurements are 11x4x14x23 feet. Comment: We installed this fence about 22 years ago, in that time sections have moved (gate is now about 4 inches from the hitching latch). Gaps under it, some links are damaged, It may be cheaper to install a new one than try to repair this one, It is about 4 feet tall. (I am 6ft and it is a little below my chest). I have logs along the bottom on some places because the links have shifted and we have holes under it. 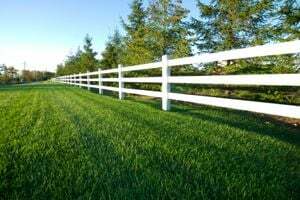 Rochester Fence Contractors are rated 4.76 out of 5 based on 436 reviews of 28 pros. Not Looking for Fences Contractors in Rochester, MI?